In times of necessity, and also luxury, a personal finance or credit card can provide a lot of support. Unfortunately, accessing easy credit can also lead to an error in judgement, and eventually excessive debt. For some years, debt has put both UAE residents at long-term risk, with consumers using multiple credit cards, or availing substantial home and personal finances, that they eventually find difficult to pay. In terms of household debt, it is estimated that in the UAE, an average resident has to deal with more than Dh42,000 of personal debt in 2016. This figure has risen in the past years, according to surveys by research firms and banks. Data from 2016 suggest that the UAE alone represented roughly 67 per cent of household debt in GCC region. In the same period, personal financing for consumption grossed Dh138.95 billion, while business-related financing was Dh295.28 billion, indicating the extent of the problem. Behind the data, however, are families reeling under outstanding amounts on multiple credit cards and unsecured financing. Of this, credit card dues are the most challenging form because of steep profit rates. While Islamic banks do not compound the profit rates, conventional banks makes it a lot more difficult by charging compounded interest. 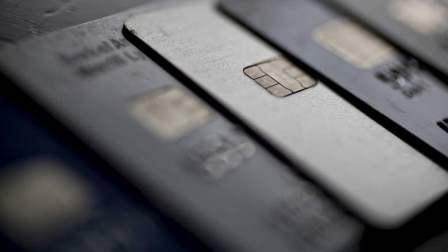 This situation can turn tricky when people using multiple cards fail to make timely payments. The good news, however, is that the situation can be fixed through a process of debt consolidation. For those reeling under missed payments on multiple credit cards, along with the pressure of monthly installments on home or auto financing, it may be wise to apply for debt consolidation and convert expensive debt into a lower-profit rate portfolio. Debt consolidation involves combining all existing financing and credit card dues into a single financing portfolio to take advantage of lower profit rates, longer tenures and smaller monthly repayments. The biggest advantage of this is, you have to deal with just one institution, and can keep better track of how much you owe to one entity. It is best to start communicating with your primary bank - the account your salary is paid into - as soon as you feel you are unable to keep up with the payment schedule. Since your salary gets credited to this bank, you will be able to apply for a salary-transfer financing, or debt consolidation financing. Remember, for debt consolidation, a salary transfer account is a mandatory requirement. If all your debt is on credit cards, you can opt for a salary-transfer finance from your primary bank, get a competitive profit rate and use the financing amount to settle the outstanding credit card dues. Customers can also choose personal financing, whose profit rates are between six to nine per cent, as against credit cards, which can go as high as 40 per cent per annum. This fund can then be used to clear off the more expensive dues. If your bank is able to work out a viable debt consolidation plan, make sure to check for any high upfront fees. The credit bureau has all records of your personal debt and if you consolidate to a personal financing, it will show in your credit history. Under debt consolidation, any additional finance would be subject to the 50 per cent debt burden ratio cut-off, as mandated by the Central Bank of UAE. This means the monthly money paid against your debts cannot exceed 50 per cent of your monthly income. Remember, you can only benefit from debt consolidation if you don't run up any fresh debts and maintain strict financial discipline. Make sure you don't commit to a consolidated monthly payment that you can't sustain over the next few years. There's always light at the end of the tunnel. With discipline and determination, a debt consolidation plan can give you more peace of mind. The writer is head of assets and retail banking at Noor Bank. Views expressed are his own and do not reflect the newspaper's policy.